Visitors to PAX East are often attracted to the massive displays with their flashy props, but the more savvy convention goers know that, particularly when games are concerned, you can just as easily find a gem thrown in with a cluster of smaller stands. Such was the case with the XBLA area that Microsoft had set up. When it came to pure gaming goodness per square foot, I think the only area that gave it a run for its money was Nintendo’s 3DS corral. 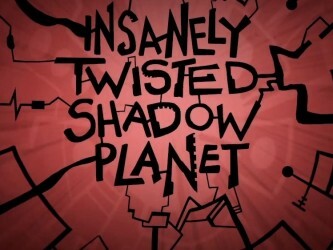 Huddled together were games like Trenched, Fire Pro Wrestling, and this little nugget of joy, Insanely Twisted Shadow Planet. You’ll be reading about the others elsewhere, but let’s give the planet its props. A tiny glimpse of the fabulous intro. The first thing that will strike you about ITSP is its breathtaking visuals. They vaguely put one in mind of one of last year’s big favorites, Limbo, but whereas Limbo was entirely shades of gray, the silhouetted black landscapes and creatures that inhabit the planet add stark contrasts of blue and red to the mix. The effect is excellent, with crisp edges and natural, flowing animation on the flora and fauna alike, and that is just in the gameplay. In the brilliantly animated cut scenes, things get even more impressive. 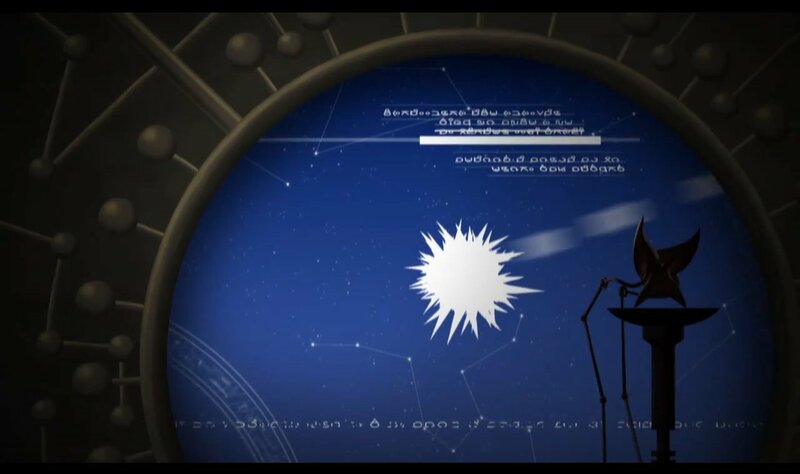 The intro treats you to a visual feast depicting a mysterious seed of evil that hurtles across space until it finally plunges into a star, infecting it and converting it into what I can only assume is the namesake Shadow Planet, and boy, is it ever Insanely Twisted. 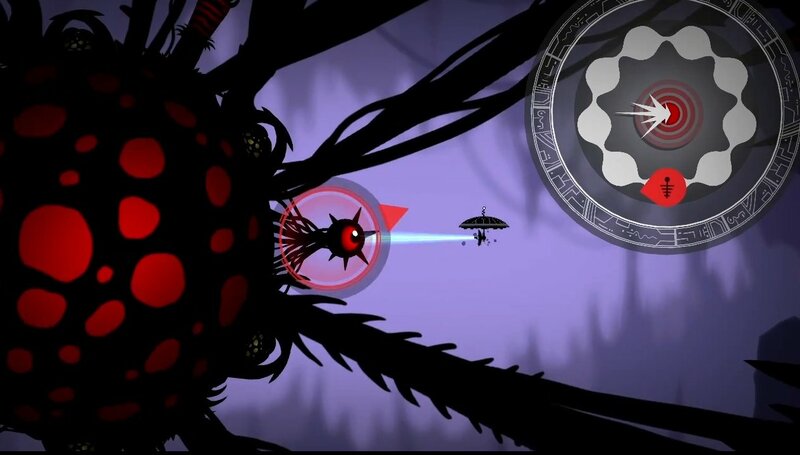 Every aspect of the setting is dripping with personality, from the intrepid little spaceship to the endless variety of enemies, each one spiked, twisted, and corrupted. Through the game and cut scenes alike, there is very little in the way of text, and nothing in the way of dialog. Everything is told via visuals, and they are more than enough by themselves. But when you combine them with the score, it becomes so much more. Scanning a suitably twisted shadow creature. The animation syncs beautifully with a full orchestra. Crashing symbols highlight bursts of black. 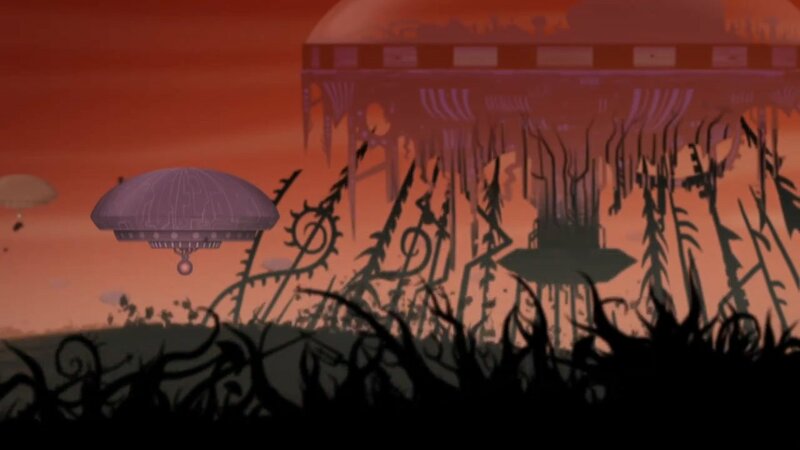 Ominous strings underscore the twisted planet’s approach. The whole thing is strongly reminiscent of Fantasia, and every bit up to the comparison. The music becomes more subdued during actual gameplay, but no less appropriate. In light of the spectacular sights and sounds, I almost feel silly having to talk about gameplay. I would just as eagerly watch this game as play it. That isn’t, however, to say that it isn’t worth playing. Indeed, the game plays like a smooth union of a number of different genres. You control a ship, initially equipped only with a scanner. Similar to Metroid Prime, you put the scanner to use on anything and everything that you encounter, to be presented with your intended interaction. Steadily you will earn powerups like grippers and blasters, saws and armor. Each one, in a likewise Metroid fashion, must be used in novel and creative ways to venture further into the map. When you aren’t aiming a blaster turret in the vein of a Geometry Wars style Shmup, you are wielding a gripper claw ala Solar Jet Man or just waving a cartoonishly large saw. I could go on talking about this game, which in the space of just a few minutes managed to convince me that it was a masterpiece, but do yourself a favor and watch the video above. If you aren’t sold on this game after seeing it, then you and I are VERY different people. Bad news, coming your way.